Paul Tuminello, LCSW-BACS is a native of New Orleans. He earned a Master of Social Work from the Louisiana State University Graduate School of Social Work. While interning at the Louisiana State University Student Mental Health Center, he gained specialized experience treating individuals with a variety of mental health concerns. He specializes in the treatment of child, adolescent, adult, and geriatric populations who cope with a variety of mental health issues, including but not limited to depression, anxiety, ADHD, conduct disorders, post-traumatic stress disorder, chronic pain, adjustment disorder, crisis intervention, and substance abuse and dependence. He also has experience providing both couples and family therapy. He also has experience providing clinical LCSW supervision. In all cases, a cognitive-behaviorally based, best practices model of treatment is implemented. He is a member of the National Association of Social Workers and is a Louisiana State Board approved clinical supervisor. 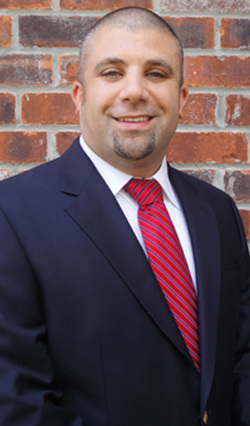 He is licensed in the State of Louisiana and currently operates in the Baton Rouge office.